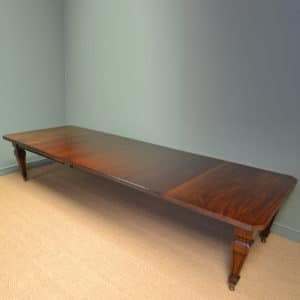 Dating from ca. 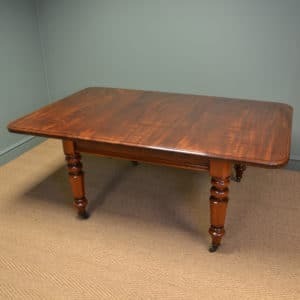 1890 this Spectacular Demi Lune Satinwood Antique Games Table / Console Table has been made by a true Victorian Craftsman as it is of the highest quality. 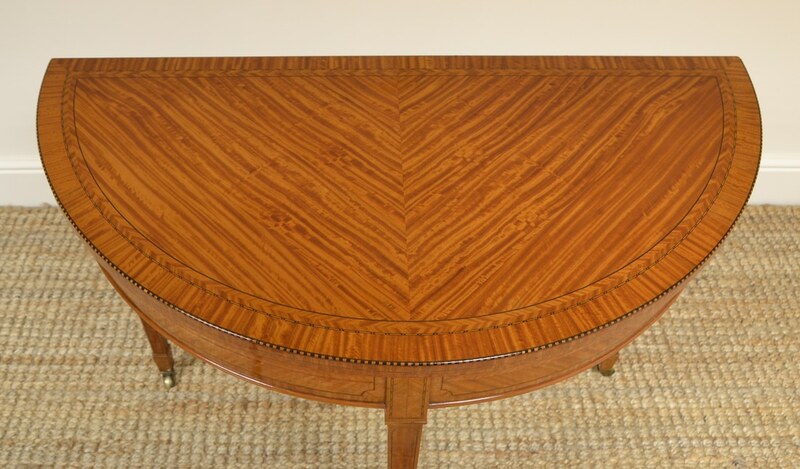 It has a beautifully figured top with ebony and boxwood string inlays along with stunning cross banding. 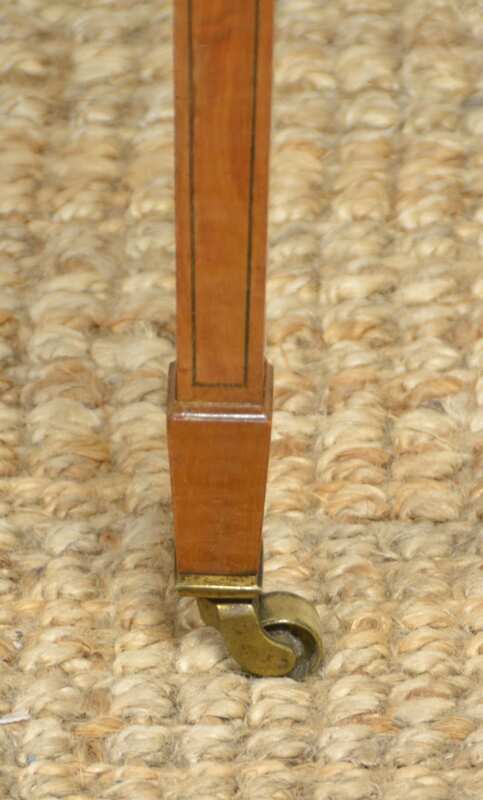 Dating from ca. 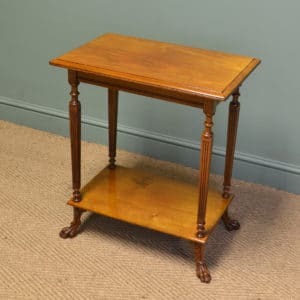 1890 this Spectacular Demi Lune Satinwood Antique Games Table / Console Table has been made by a true Victorian Craftsman as it is of the highest quality. 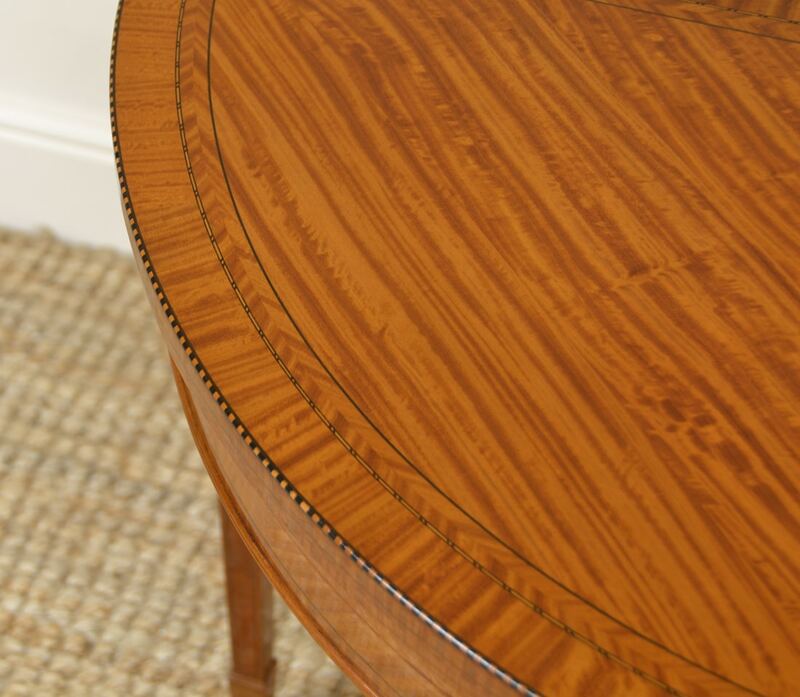 It has a beautifully figured top with ebony and boxwood string inlays along with stunning cross banding. 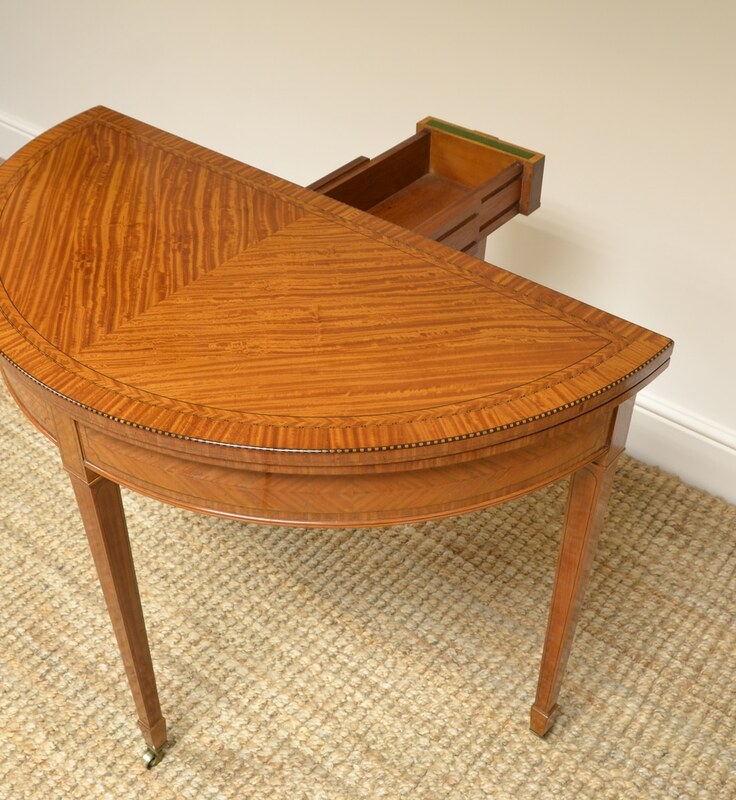 The back leg pulls out to support the top when open and has a concealed games compartment. 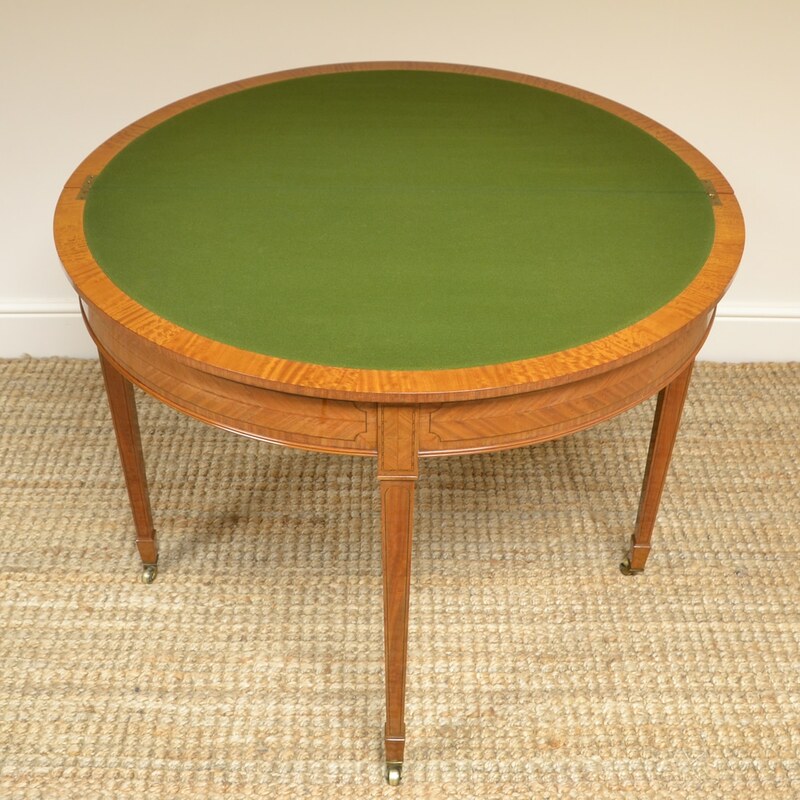 The top opens to double the size into a circular games table with green baize interior. 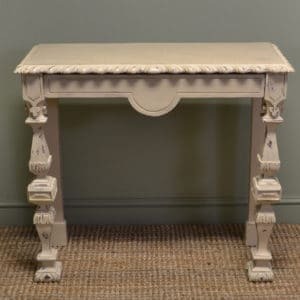 It has a beautifully figured frieze with tapering legs and spade feet with castors. 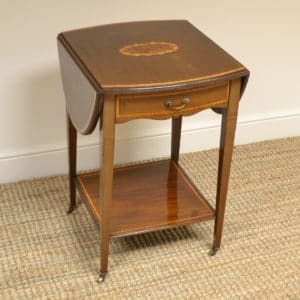 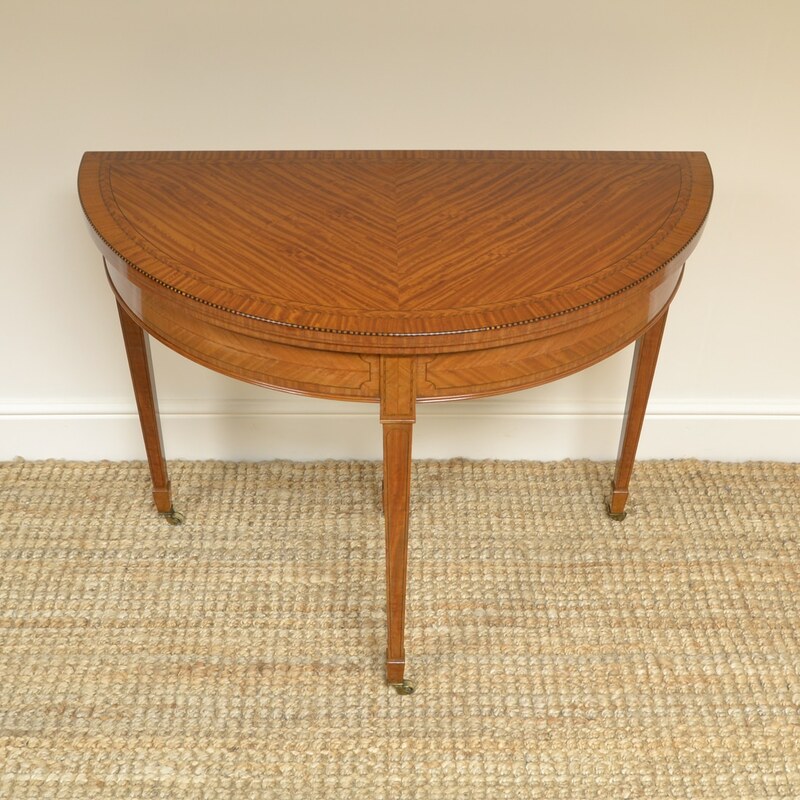 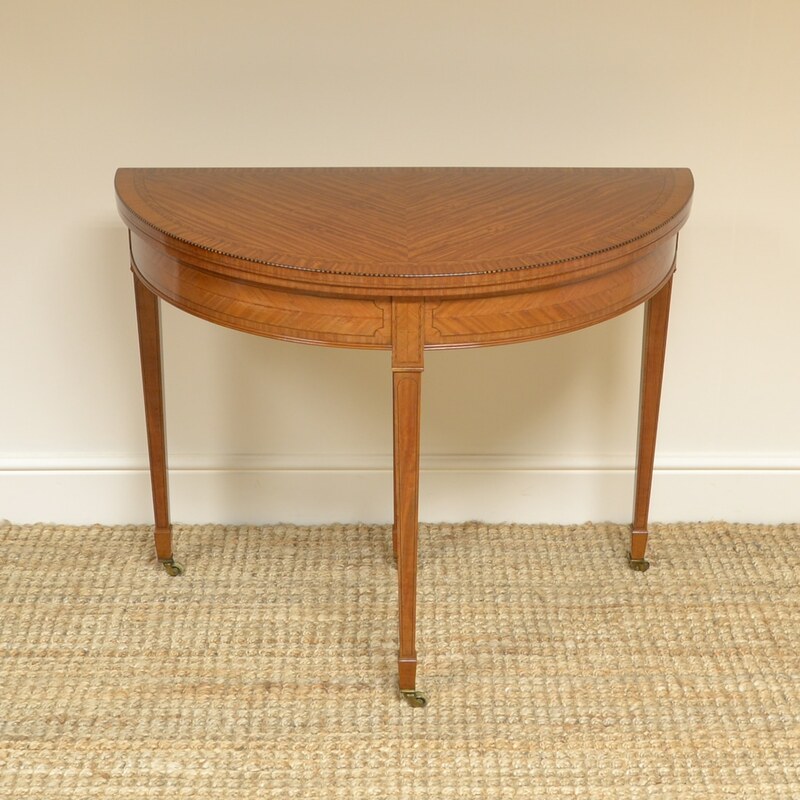 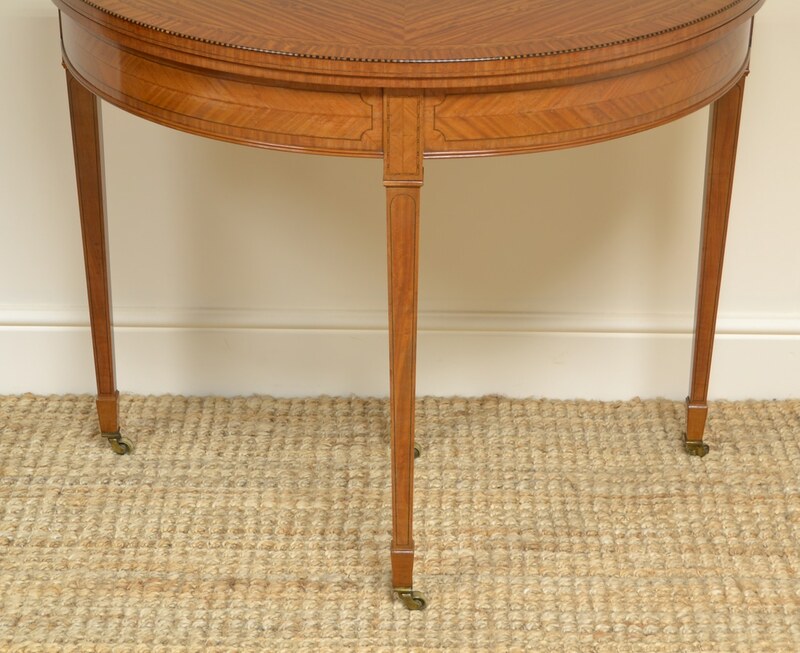 This stunning antique table is a Golden Satinwood shade with a striking grain, is in super condition and has been beautifully cleaned using a traditional form of wax finishing.